New Jersey’s online gambling industry has been in turmoil since the start of 2014 with online poker traffic significantly declining and revenue plummeting every month. State gaming regulators released New Jersey’s internet gaming information for October which revealed that the garden state made $9.48 million in total and online poker’s contribution was $1,967,904. This is the lowest reported monthly revenue since the launch of New Jersey’s online poker industry in 2013. Things don’t appear to be getting any brighter in New Jersey as the state is facing challenges from all fronts. Only recently a major airline announced that it was suspending all services to Atlantic City which will definitely hinder tourist traffic to this popular gambling destination and seaside town. Ultimate Poker has also shutdown it’s online poker operations in New Jersey stating that the market slump has not made it conducive for business. There have also been 5 brick & mortar casinos that have decided to shut down. One of these casinos is the Trump Taj Mahal that is scheduled to close before the end of 2014. Trump Taj Mahal has a slim chance of resuming operations provided New Jersey authorities approve all of the major concessions requested by the Trump Taj Mahal owners. Credit card companies have also not been co-operating with the online poker industry in New Jersey claiming that the regulations that govern the online poker industry are not up to standard and could pose security challenges. All these issues have left New Jersey gambling regulators and Gov. Chris Christie in a difficult situation, as they have to find a way to revive the market and get New Jersey back on top. 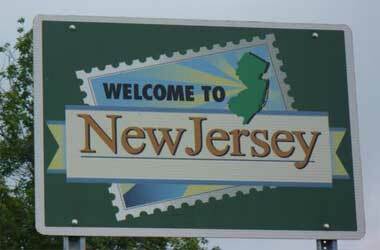 Poker analysts believe that introduction of PokerStars to the New Jersey market could provide the boost that New Jersey needs. PokerStars is the biggest online poker website in the world and has tended to dominate most of the markets where it launches operations. Gov. Chris Christie has to approve and provide PokerStars with an online poker license as the company is eagerly waiting to launch in New Jersey. Yet, Gov. Chris Christie also has to consider billionaire Sheldon Adelson’s anti-online gambling campaign before making her final decision. If the gambling market in New Jersey does not improve before the end of this year, New Jersey might find revenues declining even further as gambling operators decide to shut down and move operations to more lucrative markets.